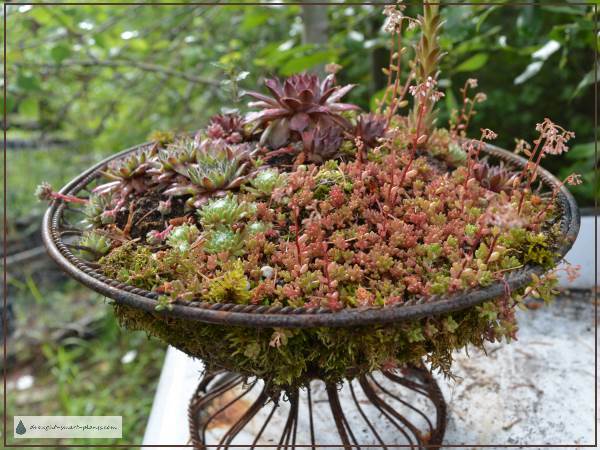 I've seen lots of succulent plants in bird cages or other open type planters that are planted directly into moss. I don't recommend this. Read more to find out why. 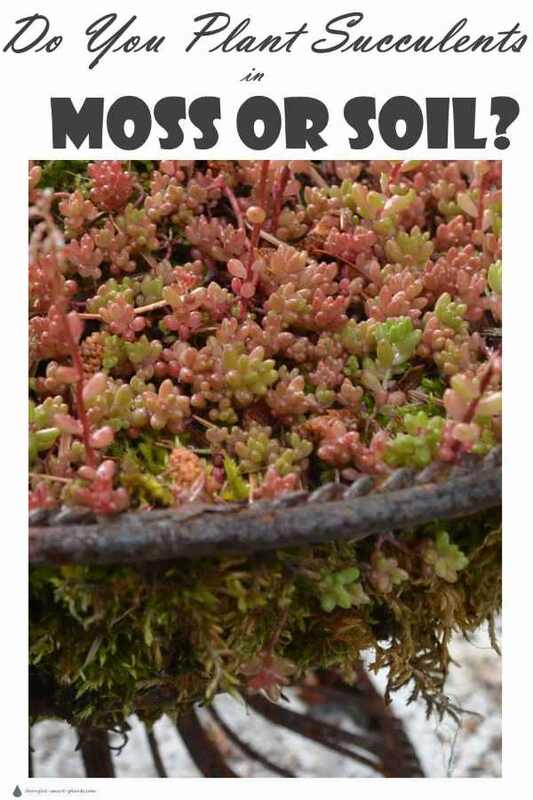 When you think about it, succulents and moss would never grow together in nature. 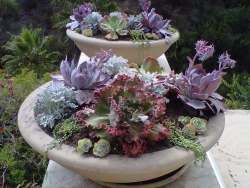 They occupy completely different spheres, such as, succulents prefer a desert type environment with full bright sun, and gravelly soil. Moss, on the other hand, tends to grow under trees or in the shade, in soil that will hold moisture, where succulents would not thrive. 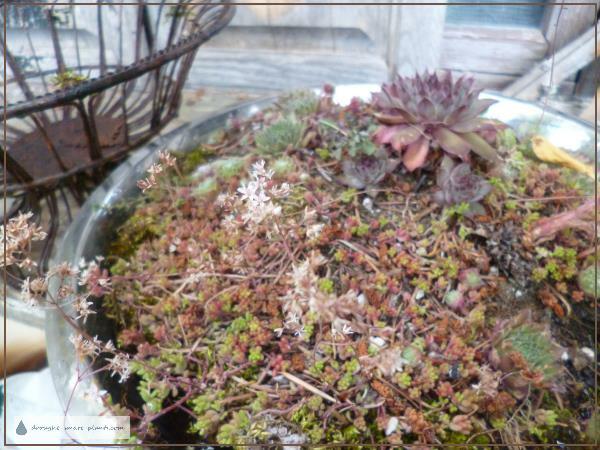 To plant them in a mossy environment goes completely against what succulents stand for. For the short term, they can be planted in combination, such as a temporary display with the succulent plant tucked in to a moss basket. This type of situation demands very careful watering, with more water going to the moss, much less to the succulent plant. Lining an open wire container with moss, filling it with soil, and planting into that seems to be the only way that succulents will be happy for the longer term. Watering and fertilizing is an issue, because the water will just run out - unless you use a bowl or other shallow container to dunk it in. It also depends on the kind of succulent that you use. Most Echeveria and similar plants resent wet feet, and the rot will quickly set in. Some epiphytes such as Schlumbergera (Christmas cactus) won't mind it as much, especially if the moss is allowed to partially dry in between waterings.